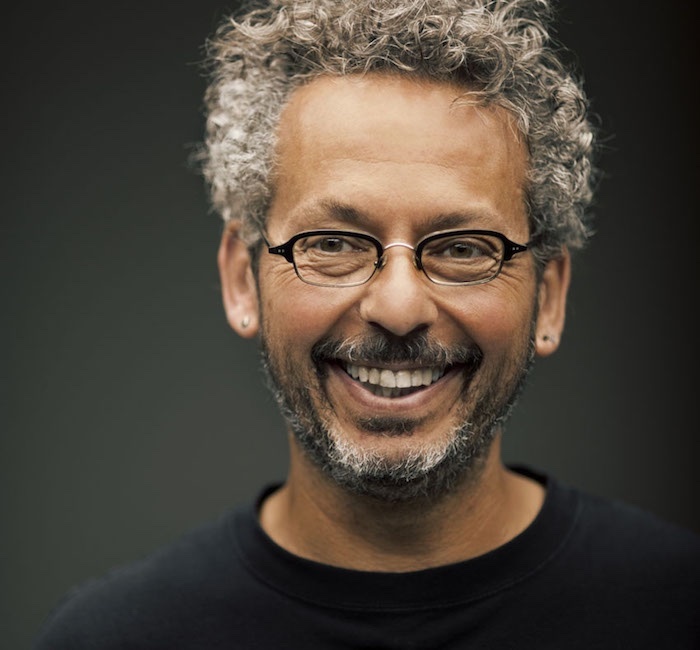 Ari Weinzweig is CEO and co-founding partner of Zingerman’s Community of Businesses, which includes Zingerman’s Delicatessen, Bakehouse, Creamery, Catering, Mail Order, ZingTrain, Coffee Company, Roadhouse, Candy Manufactory and the newest business—Cornman Farms. Zingerman’s produces and sells all sorts of full flavored, traditional foods in its home of Ann Arbor, Michigan to the tune of $55,000,000 a year in annual sales. Ari was recognized as one of the “Who’s Who of Food & Beverage in America” by the 2006 James Beard Foundation and has awarded a Bon Appetit Lifetime Achievement Award among many recognitions. Ari is the author of a number of articles and books, including Zingerman’s Guide to Better Bacon (Zingerman’s Press), Zingerman’s Guide to Giving Great Service, Zingerman’s Guide to Good Eating (Houghton Mifflin), Zingerman’s Guide to Good Leading, Part 1: A Lapsed Anarchist’s Approach to Building a Great Business, and Zingerman’s Guide to Good Leading, Part 2: A Lapsed Anarchist’s Approach to Being a Better Leader. Zingerman’s Guide to Good Leading, Part 3; A Lapsed Anarchist’s Approach to Managing Ourselves, was released in December of 2013. Zingerman’s Guide to Good Leading, Part 4; A Lapsed Anarchist’s Approach to the Power of Beliefs in Business is scheduled for release in the first part of 2016. Good question. I’ve written a lot about this in the Zingerman’s Guide to Good Leading book series. There’s more to say on it than there’s room for here. I believe that most organizations are operating out of synch with nature—human nature, and what we here have come to refer to as the Natural Laws of Business—and that as a result they’re depleting the natural human desire to work hard, to be part of something special. I believe that as a result there is what I call an Energy Crisis in the Workplace which is manifested in the apathy, disengagement, disinterest, etc. I believe that in the process work has gotten a bad name—that as Wendell Berry has written, “We can say without exaggeration that the present national ambition of the United States is unemployment. People live for quitting time, for weekends, for vacations, and for retirement; moreover, this ambition seems to be classless, as true in the executive suites as on the assembly lines. One works not because the work is necessary, valuable, useful to a desirable end, or because one loves to do it, but only to be able to quit—a condition that a saner time would regard as infernal, a condemnation.” What I believe we can do is make work into something positive, something rewarding and fun and educational that helps people to be themselves and go for greatness. Here’s my take in support of that view, excerpted from Part 2 of the Guide to Good Leading. Good work is life altering, fulfilling, and fun. Good work is about learning, laughing, growing, all the while earning enough money to make your dreams come true. It’s about collaborating with people you care about and who share your values, contributing something positive to the people and the community around you. It’s fun, not something you flee from. It’s a place you want to be, even if you rightfully have other places you want to go. Good work is about positive energy—both feeling it and building it. Good work is about doing something you believe in, work that you care about in a workplace that cares about you. It’s endlessly sustainable, not energy-sapping. While people might certainly, on any given day, go home tired after doing good work, they’re rarely spiritually exhausted. When we’re into what we’re doing, giving it everything we’ve got, learning and laughing even under duress, the experience is likely to be energizing, even if, in the moment, physically tiring. Well, first by working to live in harmony with the Natural Laws of Business as per above. More specifically by teaching those laws to everyone in organization, involving everyone who works here in running the organization. Through things like our approach to visioning, servant leadership, open book management, open meetings, our organizational change process, we use a lot of consensus decision-making (all of it at the partner level is consensus) and now bringing three “staff partners” into the partner consensus… we’re working on employee ownership as well. I believe that life is art and business is art. So really I start there. When we approach our work and our lives and everything we do as if we are creating great art, I think it makes for a much more mindful, meaningful, sensitive to nuance approach. And it’s more fun and more rewarding and more effective. The beauty of designing a business, of making great products, or helping people become themselves, of the flavors of a great cheese, or the crust on a great loaf of bread. Great artists don’t view making music or putting paint on canvas or writing poetry as this terrible burden that they have to tolerate. It’s exciting, inspiring, often challenging but it’s a privilege and honor to get to do it. I hold that same approach to work, and really to most everything I do. There are so many. But the visioning is a huge piece of it. Visioning here at Zingerman’s is a process of writing out a detailed, emotionally engaging, meaningful description of what success looks like for us at a particular point in the future. We use visioning at every level of the organization and teach it to everyone here. It’s an enormously powerful and effective tool. Our vision for the organization is written for the year 2020. It was written in 2007, decided upon by consensus of the then 18 partners, with active input from well over 200 people in the organization. It’s about nine pages long. I’d be glad to send it to anyone who wants—they can email me directly. Or it’s in the back of Part 1 of the Guide to Good Leading series. We also have long-term visions for each business. Every project starts with a vision. Many of us write personal visions, some of our businesses write visions for each shift. The idea is that when you’re clear and agreed upon a positive future—rather than just trying to fix problems or respond to opportunities in the moment—it’s more inspiring, more rewarding and more effective. Whatever I’ve achieved in my life over the years is largely a testament to the power of visioning, and to living the other eleven Natural Laws as well. We’ve spent thirty-plus years envisioning a place that we want to go to work in every day, and, for the most part, it’s played out as we wrote it. The life that I live every day, imperfect though it is and will always be, is very much the one that I’ve envisioned—in writing—for myself. Life for me is very much as Lao Tzu, the founder of Taoism, said in the 6th century BC, “The master of the art of living makes little distinction between his work and his play, his labor and his leisure, his mind and his body, his education and his recreation, his love and his religion. He simply pursues his vision of excellence in whatever he does, leaving others to decide whether he is working or playing. To him, he is always doing both. I studied the anarchists when I was in school and, long story short, have come back to study their work in great depth in the last five or six years. Although few people have noticed it, there a lot of anarchist thought and writing that’s surprisingly aligned with what’s now known as “progressive business.” There’s also a great deal there that has pushed me to view our organization, and my own behavior, life, beliefs, etc. in new ways. I’ve written quite a bit about it in the business books and have taught about anarchism with greater frequency and with very positive results. It’s basically a belief system—here’s a list of some of what it means to me. Everyone, regardless of title, age, race, gender, religion, eye color or anything else is a creative, capable, intelligent, and unique individual. The means we use to achieve a goal must be congruent with the ends we’re trying to arrive at. Although effective leadership is essential, hierarchy is generally not helpful. While role definition and clarity of responsibilities are important, there is no correlation between hierarchical position and intelligence, creativity or ability. People who are thinking and working freely, respectfully, caringly, living in harmony with the Natural Laws, will generally do good work. Good things don’t come from situations where people are forced to participate in anything—work teams, countries, classes, armies, political parties, ethnic groups, religions, athletic affiliations. Judging people badly based on any element of their personhood is always problematic. When people live in harmony with nature their natural abilities come out best. Organizations that are respectful, doing the right thing, inclusive and encourage free choice—including the willingness to let people say no—can do exceptional work. When we live in harmony with human nature, creativity follows. Just because I’m the owner/manager/CEO/shareholder, doesn’t mean I’m any better of a person than the newest part-time teenager we just hired this week. As Murray Bookchin wrote, any normal human being is essentially capable of running any organization of which they’re a part. There’s an essay I wrote on it in Part 2 of the book—it’s Secret #29—Twelve Tenets of Anarcho-Capitalism; How to Make Money Without Getting Hung Up On Hierarchy. All of the above would work. Beyond those, either servant leadership or open book management. Both are huge pieces of what we do and will have an enormously positive impact on any organization that implements and stick with them. I journal every morning. The technology is yellow legal pads, with detachable fine lined paper. And pilot v-ball pens. Not fancy but they work really well for me and journaling has had a huge impact on my life. I try to have fun with everything I do. I think one can find joy in almost anything and that more actively we seek and support joyful living the more effective our organizations will be and the more rewarding our life will be. If they finish all those, I’m working on Part 4; A Lapsed Anarchist’s Approach to the Power of Beliefs in Business is scheduled for release in the first part of 2016.
ari at zingermans.com is the personal connection. Zingtrain.com will get them to our training work and the business books. Zingermans.com will get them to mail order if they want to order food… and we have about 15 different websites of the other businesses as well.